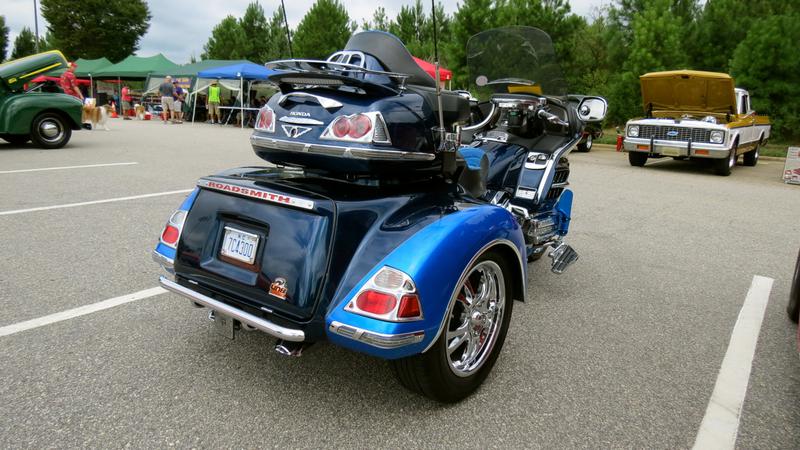 Capital City Cruisers hosts their 12th annual event. 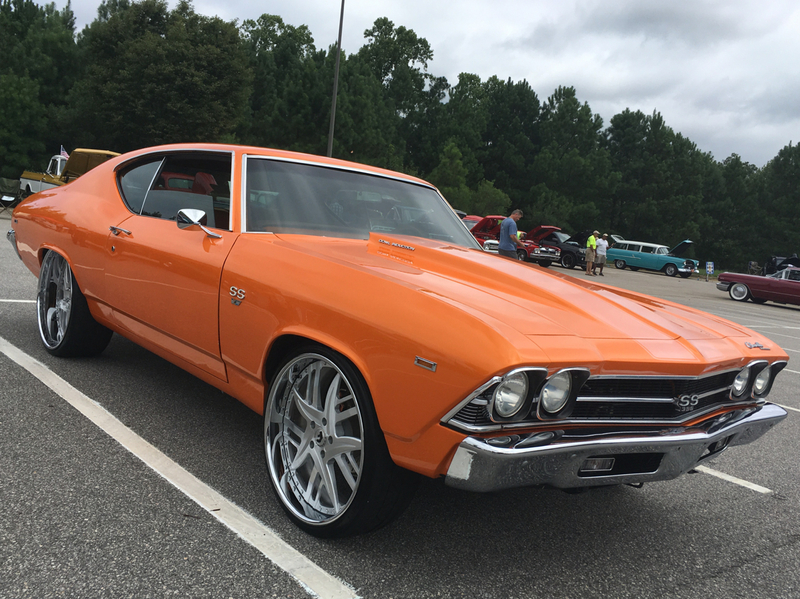 Check out the wheels on this Chevrolet Chevelle SS! Weeks of above normal rainfall in the Carolinas means one thing: if you have plans in place, then know for certain that they’re subject to change. 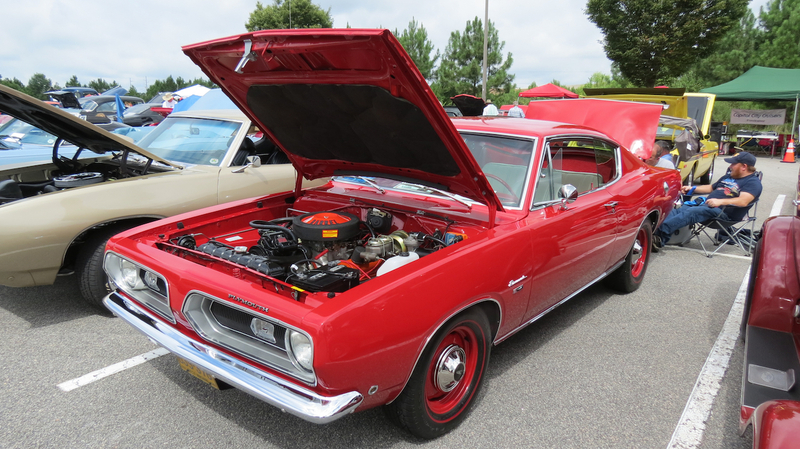 Moreover, if those plans involve hosting a car show with scores of classic and antique cars prepared to compete, there is a good chance that at least some owners will stay away. 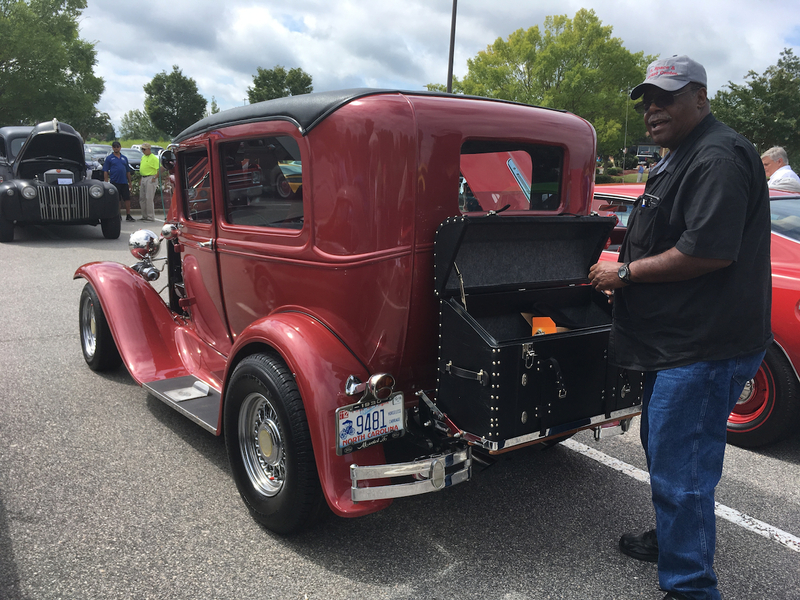 Happily, the bad weather held off long enough for the 12th Annual Capital City Cruisers Car, Truck & Bike Show to welcome more than 100 vehicles to its location in Garner, NC. 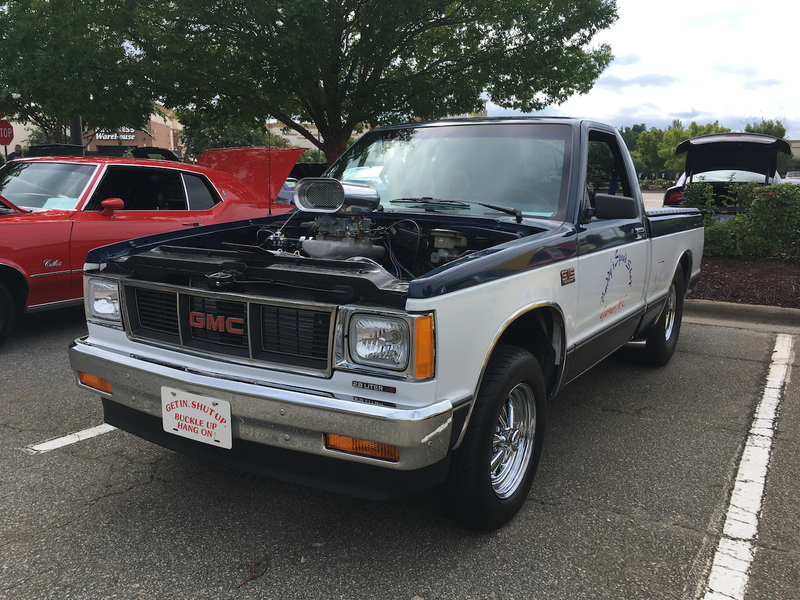 This judged event awarded the top 100 vehicles, which were split between 75 “old school” models (1987 and earlier) and 25 “new school vehicles (1988 and later). Fittingly, a portion of the proceeds raised money for the local schools, Angel Tree and the Give Back Organization, Inc.
My time was limited on Saturday, but I was able to show up early on and stay until just after the noon hour. That allowed me to take hundreds of photos and converse with various owners. 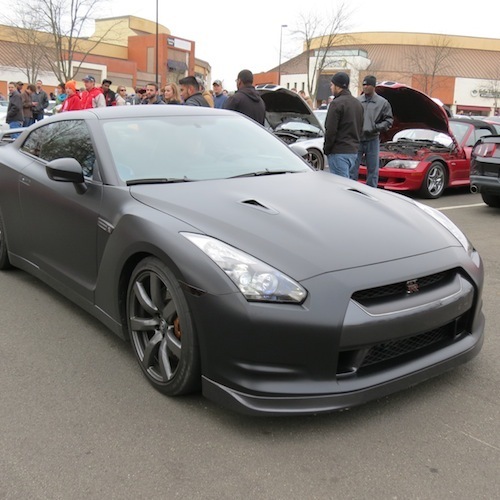 About 40 photos were posted on the day of the event on the Auto Trends Magazine Facebook page. 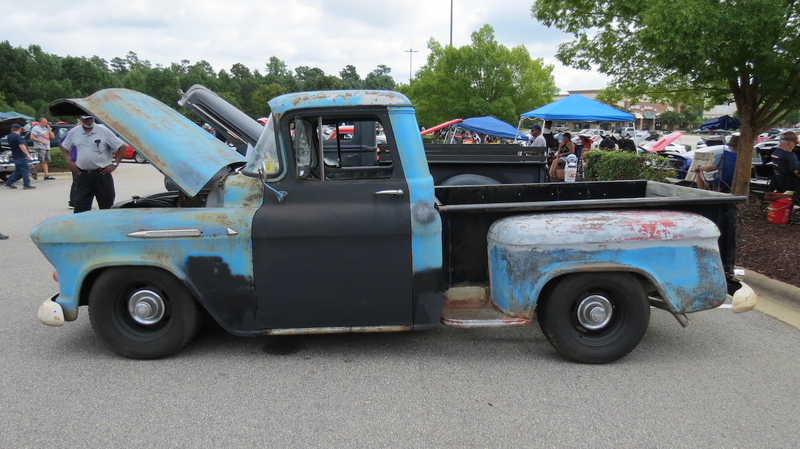 Another four dozen or so are included here, with details covering specific vehicles or categories. If you’re the owner of a vehicle featured here and would like a copy, simply right click on the photo and save it to your hard drive. 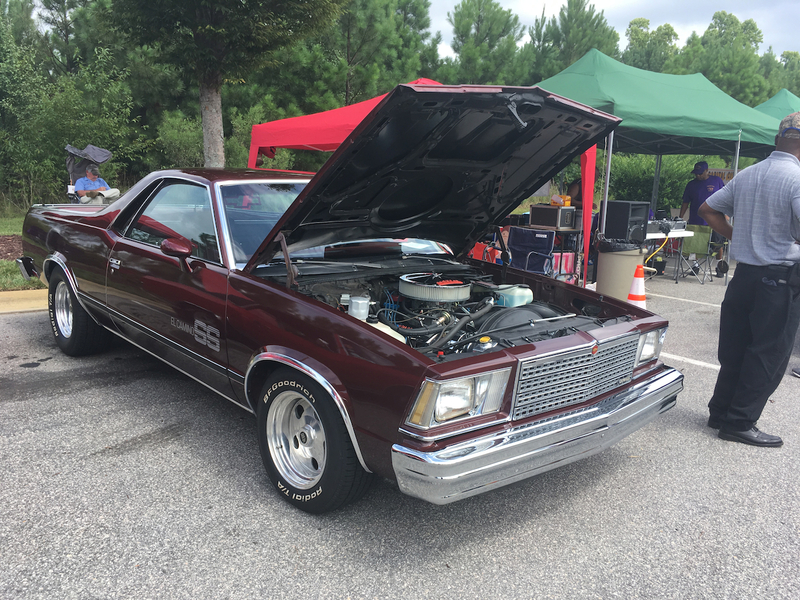 So, without further delay, I give you a broad sample of the stars, cars, people and other vehicles featured at this year’s Capital City Cruisers show. 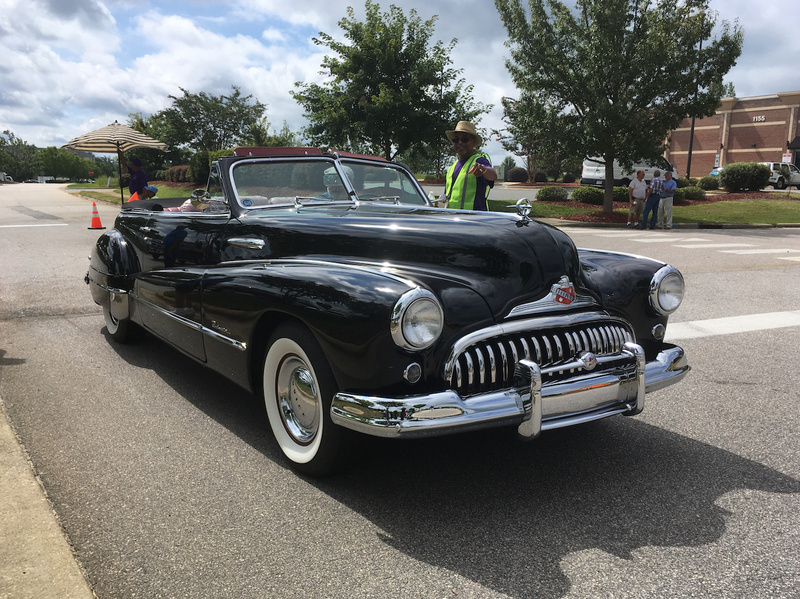 This 1948 Buick Roadmaster convertible is an excellent example of a post-war model. Unfortunately, the owner’s visit was very short. 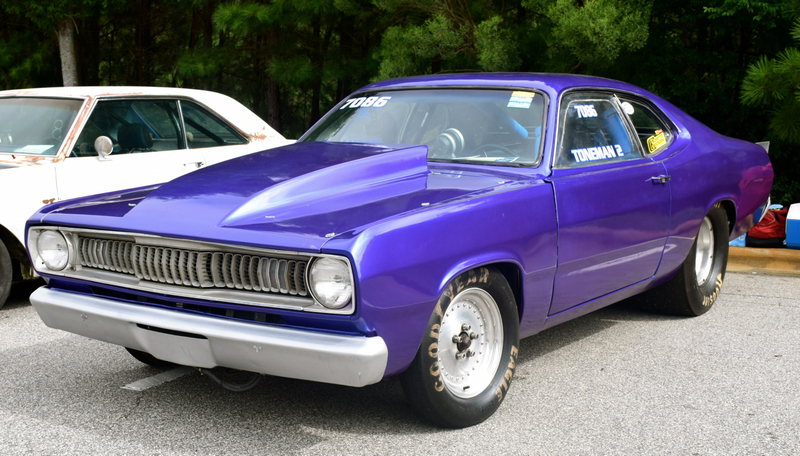 This Ford Falcon, also known as Thunderbolt, is ready to race. 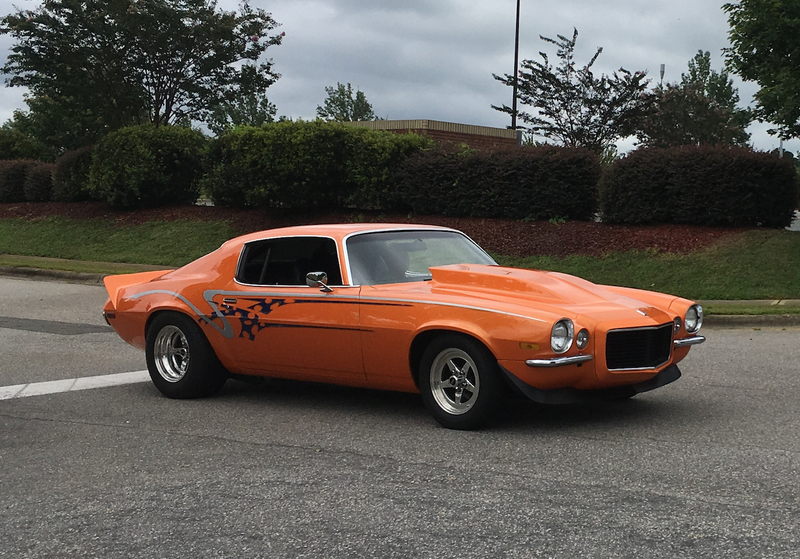 This is one “angry” 1973 Chevrolet Camaro. At least according to the license plate. 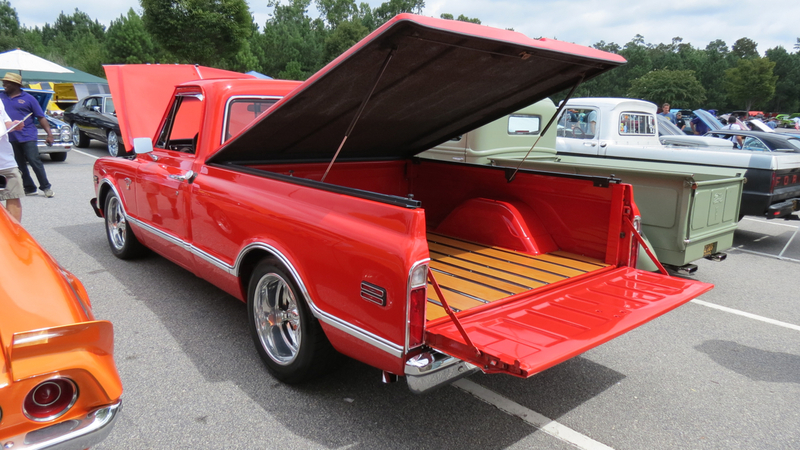 This Chevrolet truck has a few custom parts, including the wheels, bed cover and wood bed. 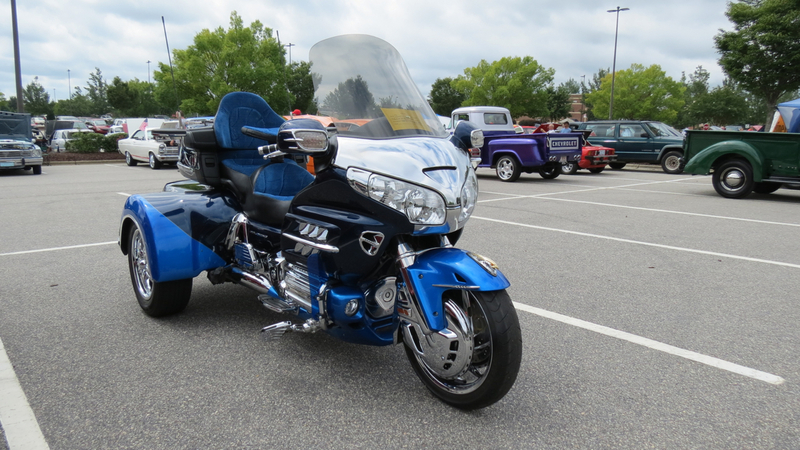 This three-wheeled 2007 Honda motorcycle was the lone vehicle of its kind. But it did represent! 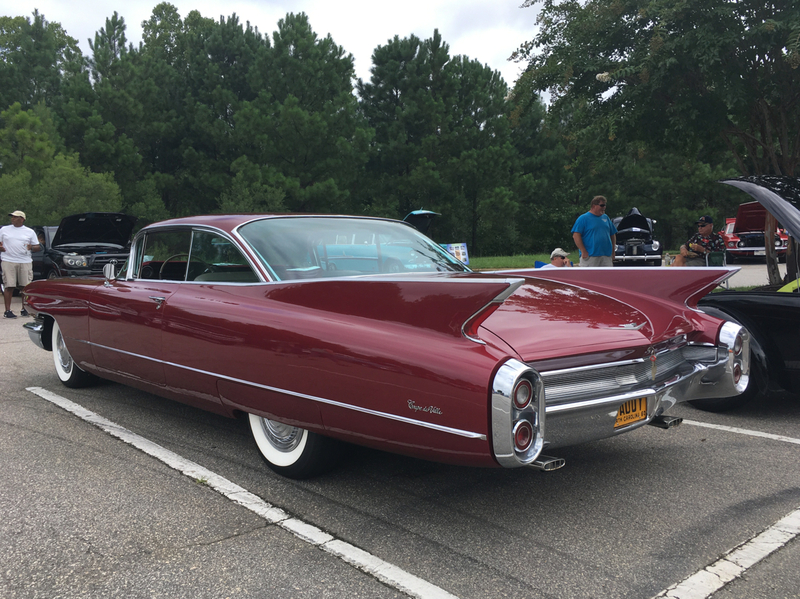 A 1960 Cadillac Coupe de Ville in all its fin-embedded glory. 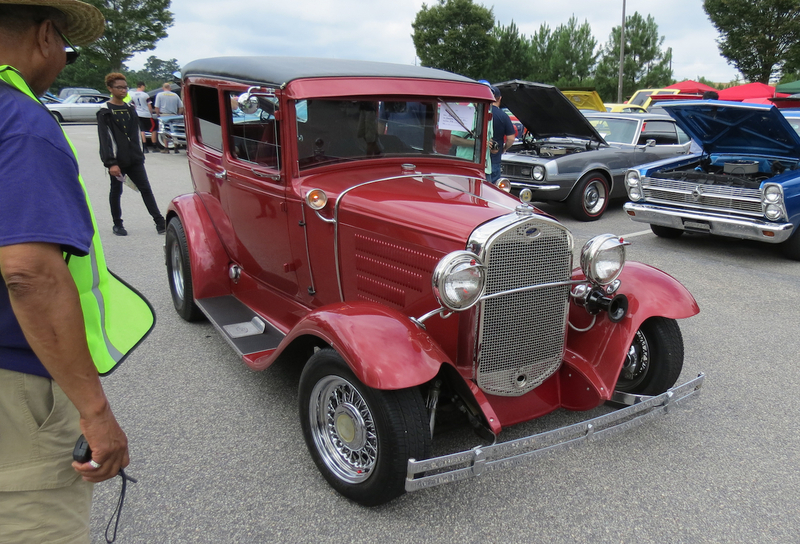 This Ford Model A may have been the oldest vehicle at the show. I caught the owner giving his sweet ride some TLC. 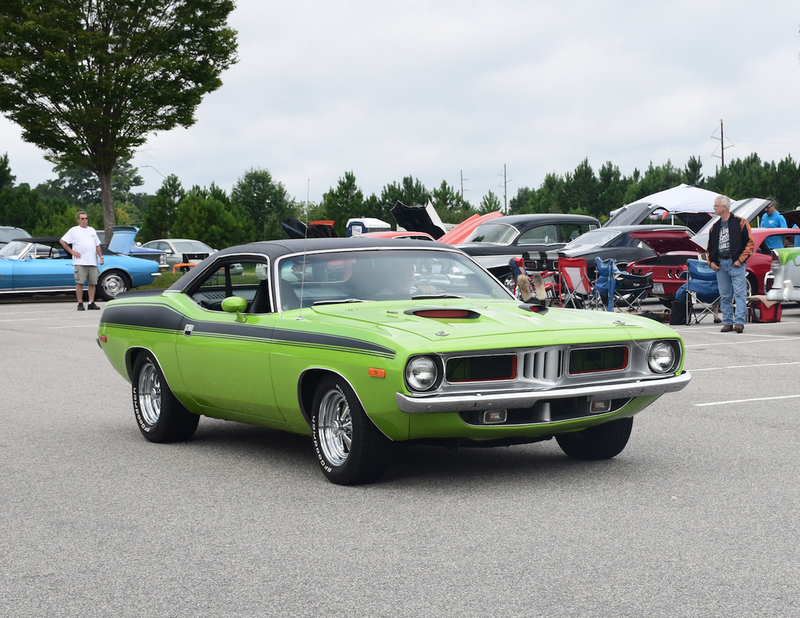 What is a car show without sufficient Mopar representation? 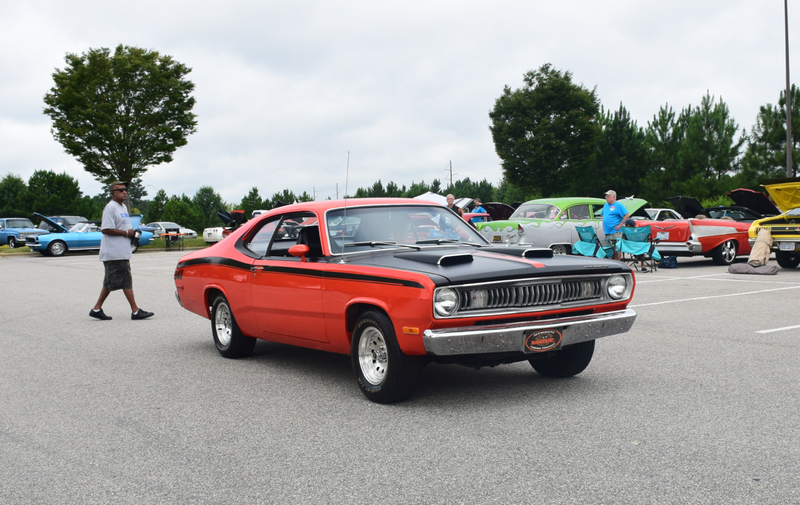 In this case, various Plymouth and Dodge models, old and new, paraded in and took over their own slice of the lot. 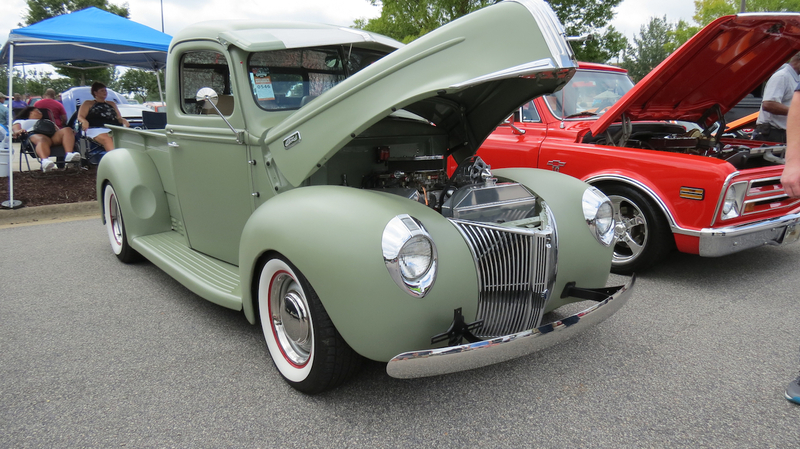 Not every vehicle at car shows fit under the antique, classic or contemporary car theme. Take this customized vehicle which got everyone’s attention when it arrived around noon. 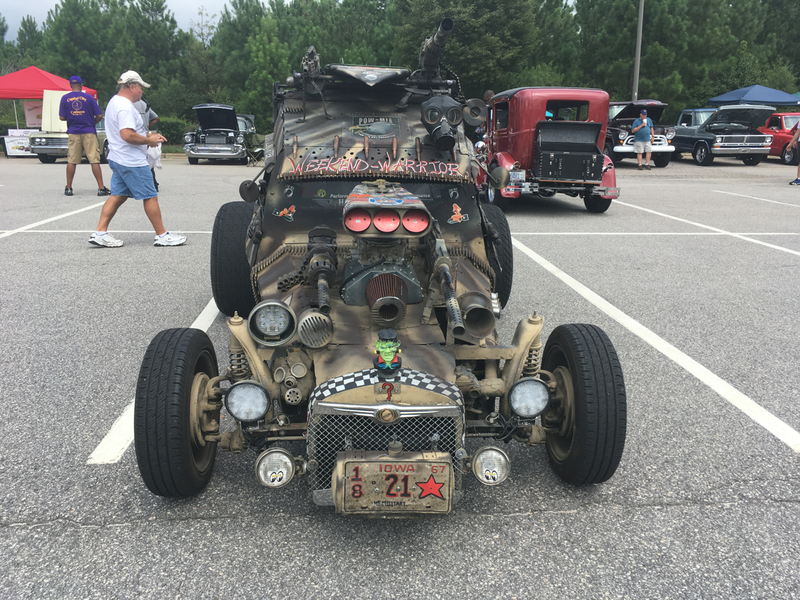 The owner said that it is powered by a 1834cc Volkswagen engine with VW front and rear suspension parts. 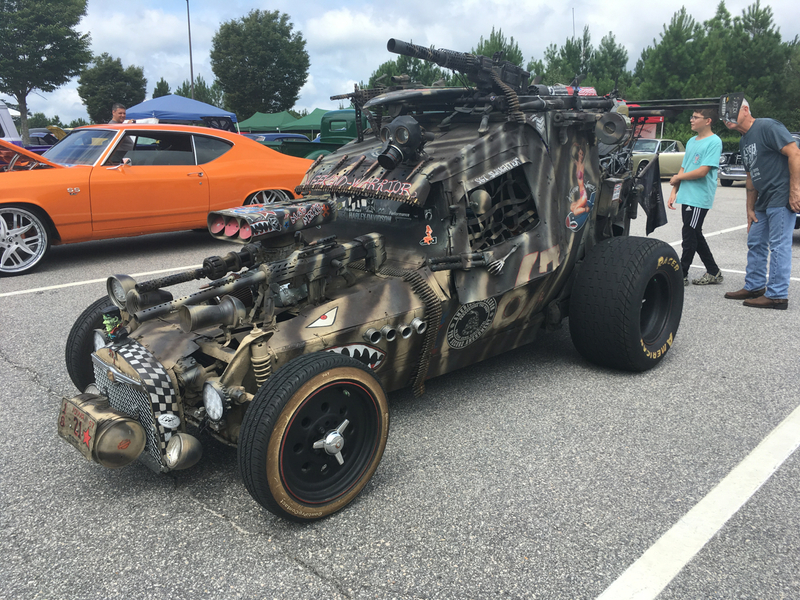 The rest of the vehicle is a mish-mash of anything goes. 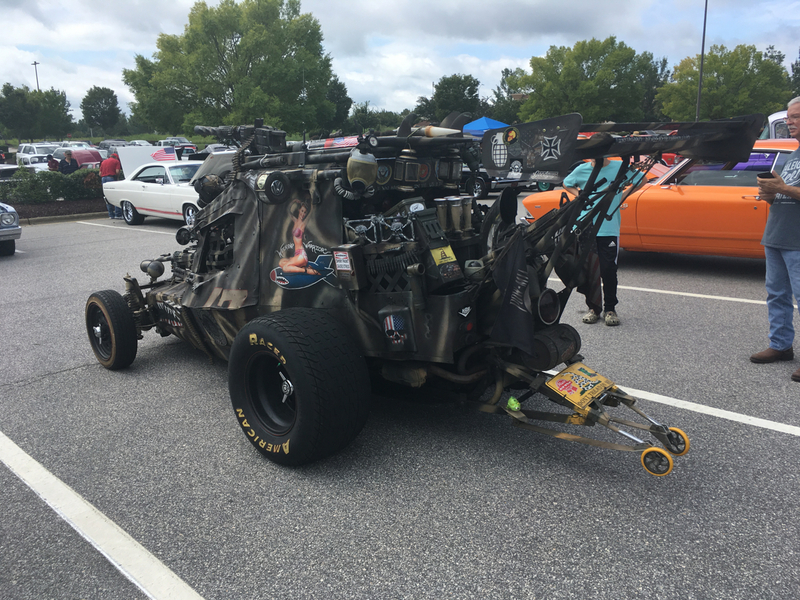 Oh, the vehicle is a tribute to America’s fallen heroes — the men and women who died while serving in the U.S. military. 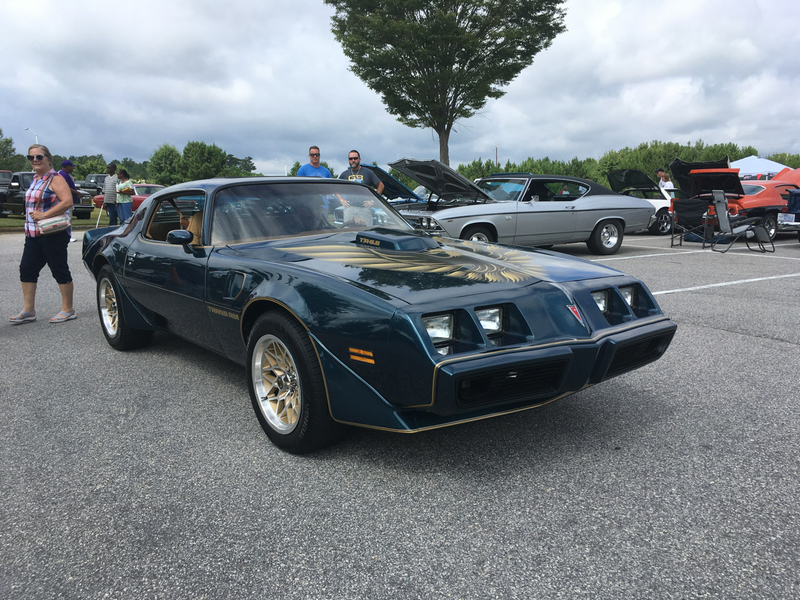 1979-1981 Pontiac Trans Am models featured this quad headlight look. 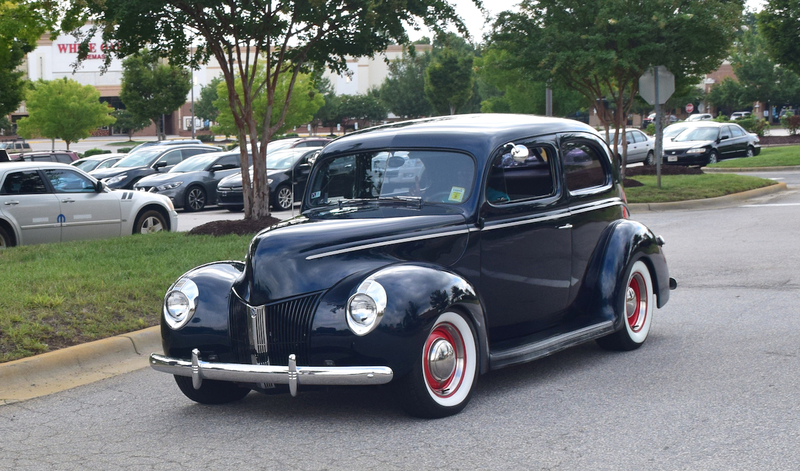 And all of a sudden there was this gorgeous 1940 Ford coupe. Your Phillips 66 assist truck at your service! Not every vehicle on display is in mint condition. 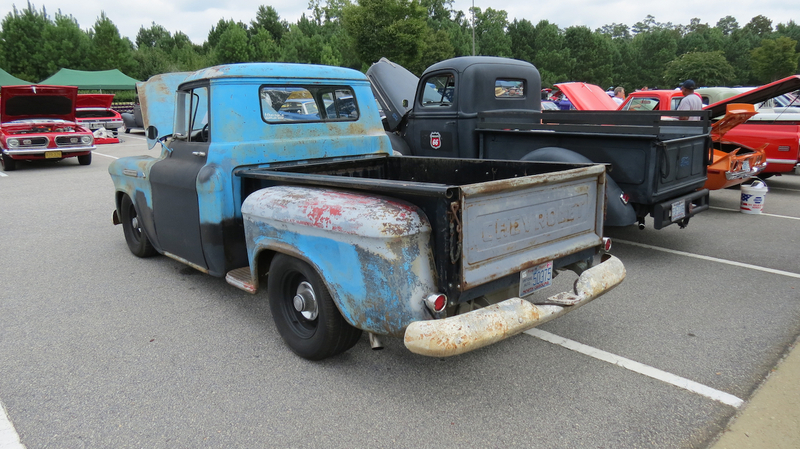 Some are in a work in progress, including this classic Chevrolet pickup truck. Many a classic or antique model have gone through a long process of restoration. Best wishes to this owner as he or she renews this beauty. 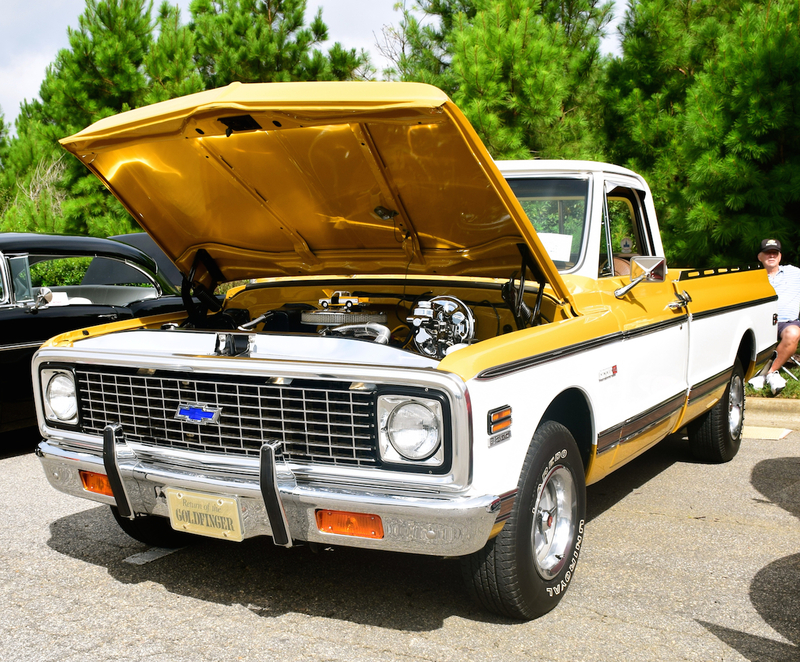 Long before crossovers became a thing, pickup trucks have served American consumers and business owners. Nearly every mainstream manufacturer had one, including Studebaker, International and Jeep. These days, the segment remains strong with American and Japanese manufacturers dominating. 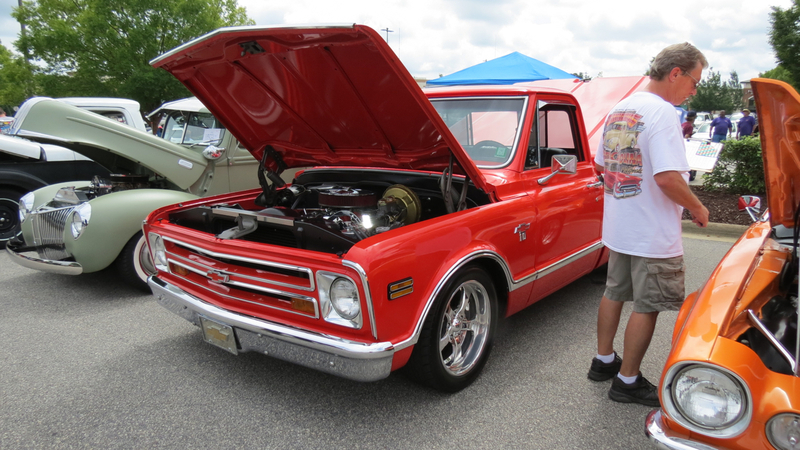 Pickup truck fans were not disappointed at the Capital City Cruisers show as more than a dozen were spotted. 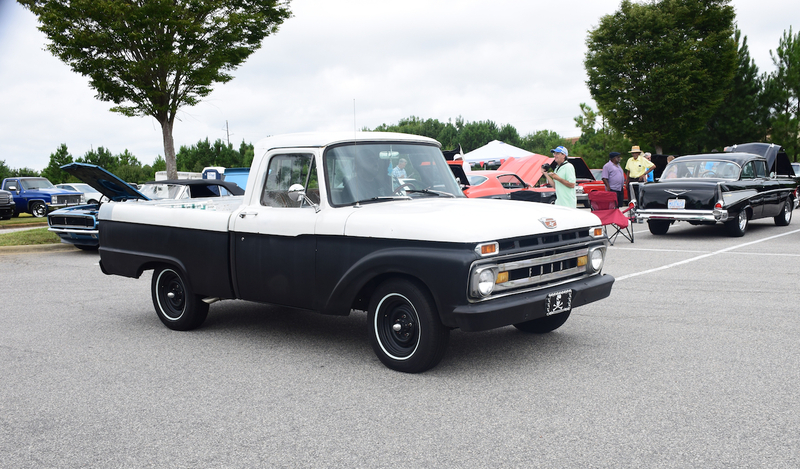 In addition to the ones we already featured, the following 10 trucks were on also on display. 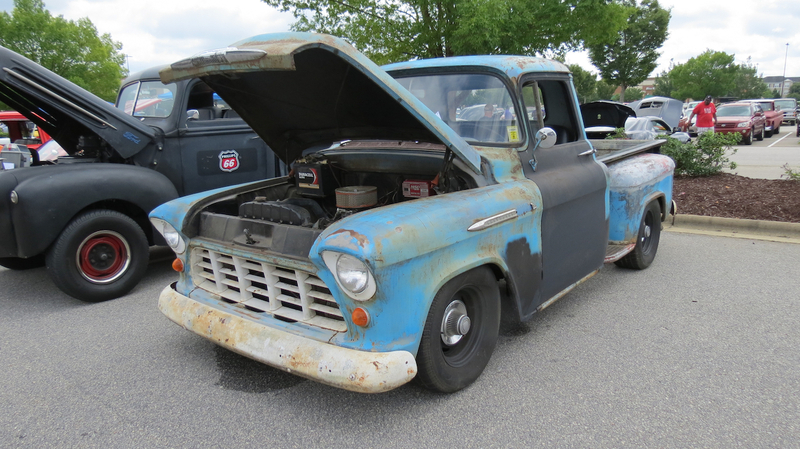 1957 Chevrolet 3600 pickup truck. 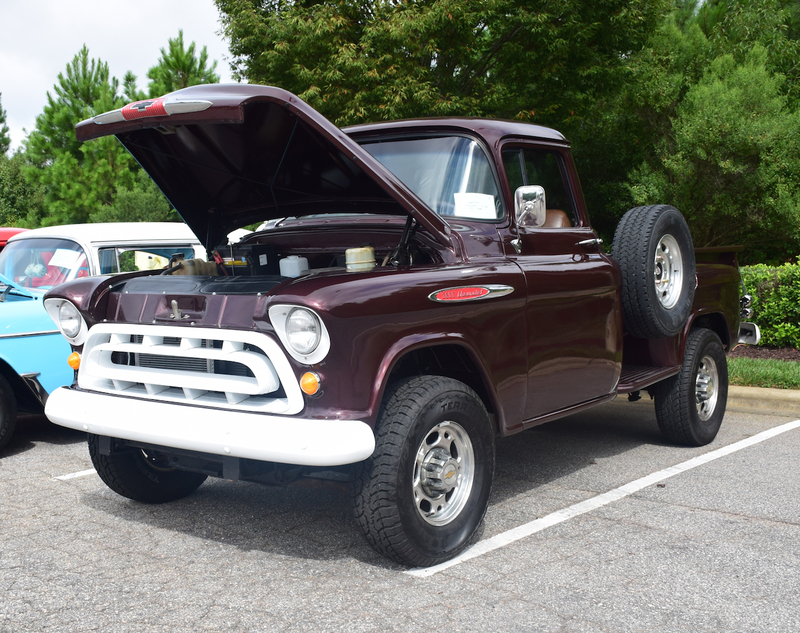 1961 Ford F-100 pickup truck. Chevrolet “Goldfinger” C/K pickup truck. 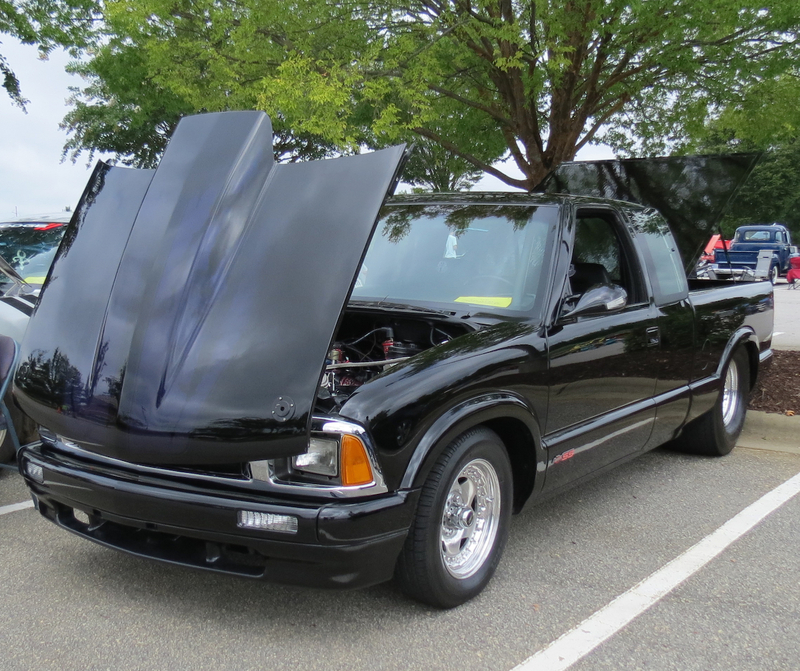 1994 Chevrolet S10 customized pickup truck. The second of two Corvette Stingrays present lifts its hood. 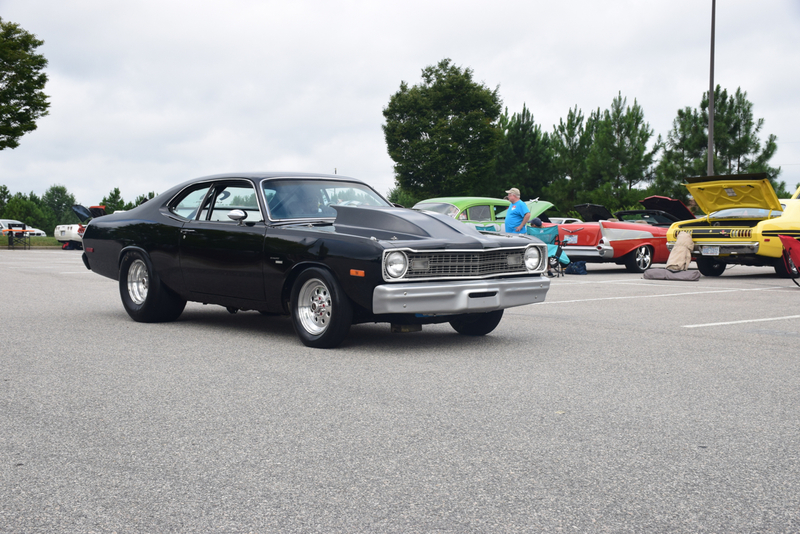 While much of the eastern part of the nation remains locked within winters icy grip, mild weather throughout the southeast has allowed monthly Cars and Coffee meetups to continue throughout much of the Carolinas and extending all the way to Texas. 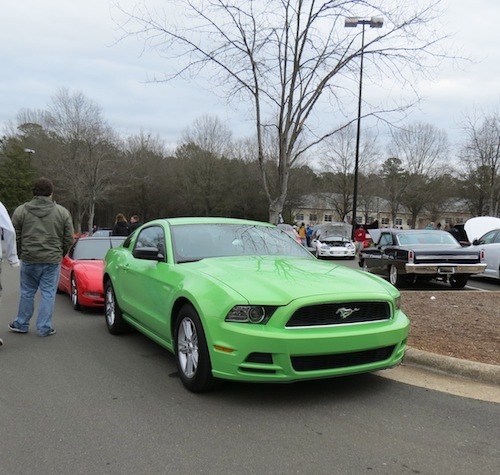 Cars and Coffee Cary (NC) is one event that has continued uninterrupted throughout the colder months despite a pair of snowstorms in Jan. that paralyzed the Raleigh area. 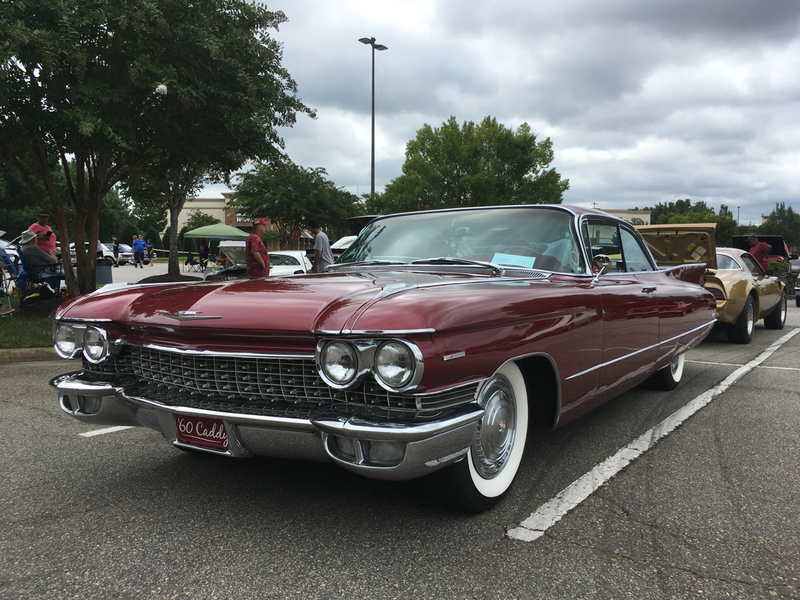 This past Sat., the Cars and Coffee faithful gathered at the upscale Waverly Place shopping center, on a gray, chilly morning. 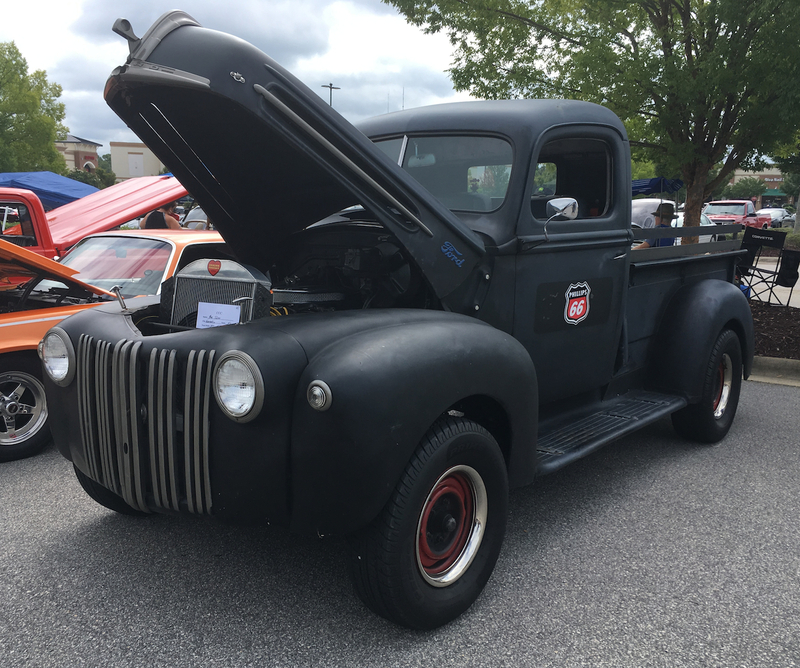 Several hundred drivers and their cars showed up, bringing with them an assortment of antique, classic, performance, and modified rides for display. 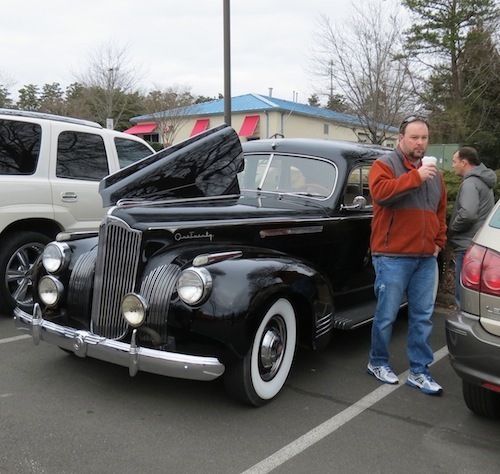 The oldest car on the lot was a 1941 Packard One-Twenty. Its owners bought the car on Long Island, NY, and have had it for two months. It underwent a restoration 10 years ago. Just as it did last month, a McLaren MP4-12C showed up, a two-door convertible that retails for $265,750. Clearly, it was the hit of the show, with dozens gathering around the sports car, sitting inside, or simply admiring its sleek design including its alluring dihedral doors. 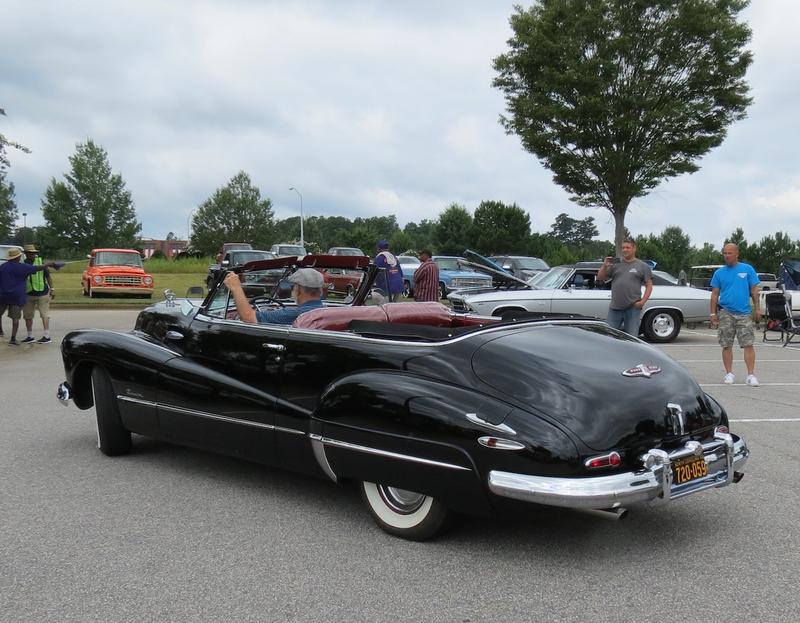 Snapping away with liberality, Auto Trends captured dozens of the cars in attendance including the ones pictured here. At the very end of this story, please read up about a new event in Raleigh as well as updated information about two more North Carolina show and tells that begin or return this month. 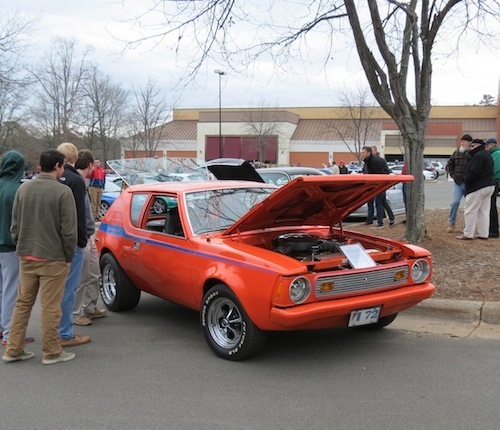 This 1972 AMC Gremlin was classified as a subcompact car when new. 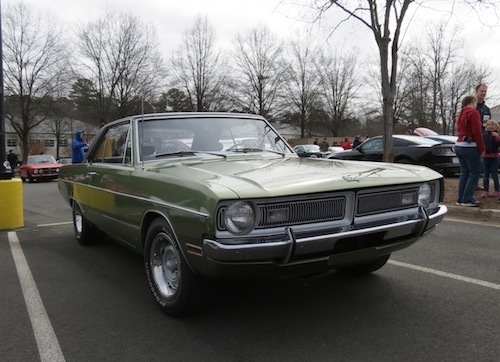 AMC used a variety of engines ranging from a 2.0-liter four to a 5.0-liter V-8. 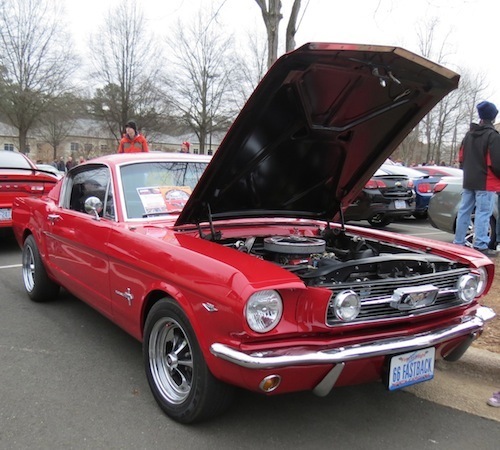 Every generation of Ford Mustang is well represented, although not always at the same time. 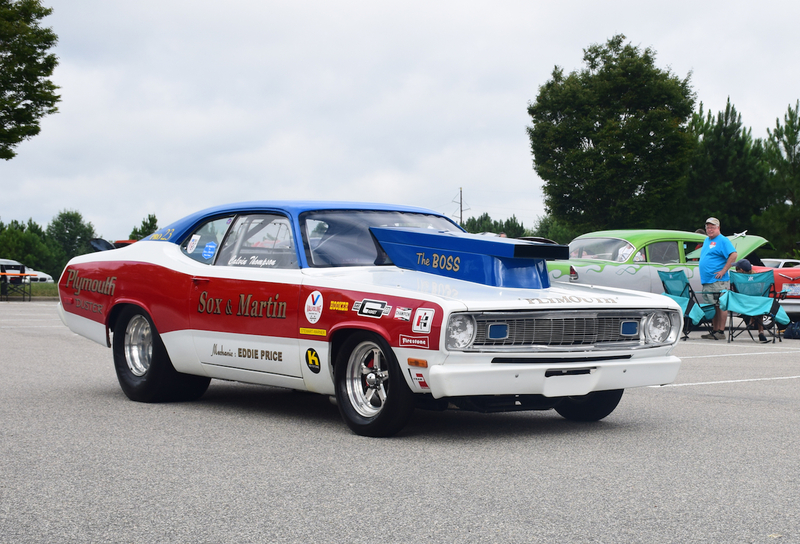 Classic and late model steeds alike draw much fan interest. There are only three registered Yes! sports cars in the entire United States. 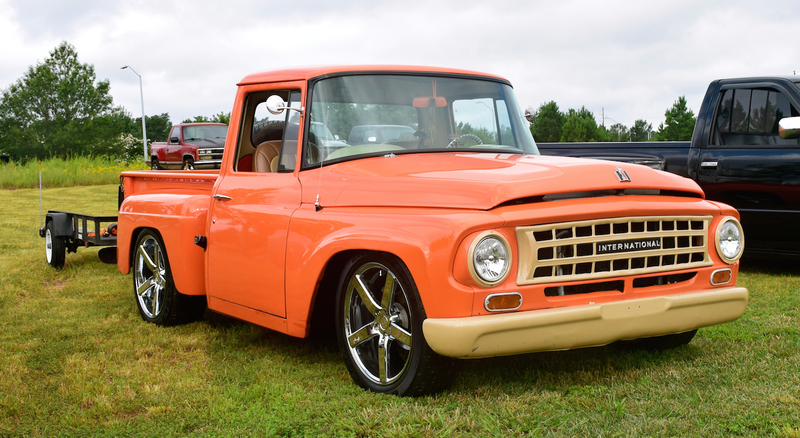 This orange one made an appearance at Cars and Coffee. 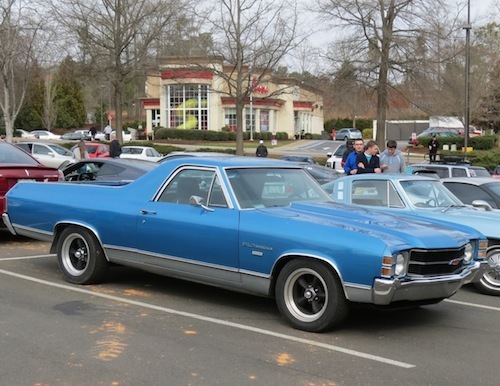 Will we ever see the return of the Chevrolet El Camino? In many eyes, it represents the ultimate car-truck. 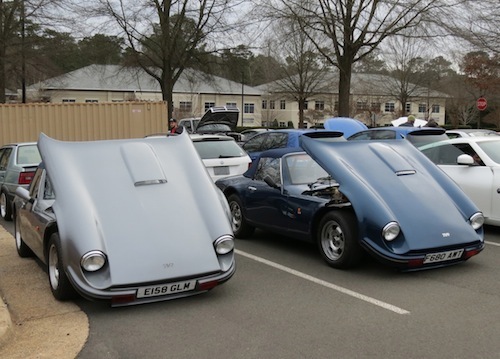 Classic and new sports cars dominate Cars and Coffee. 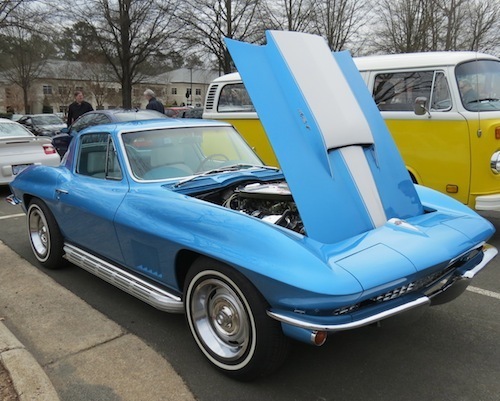 The occasional 1960s era Corvette Stingray will make an appearance. 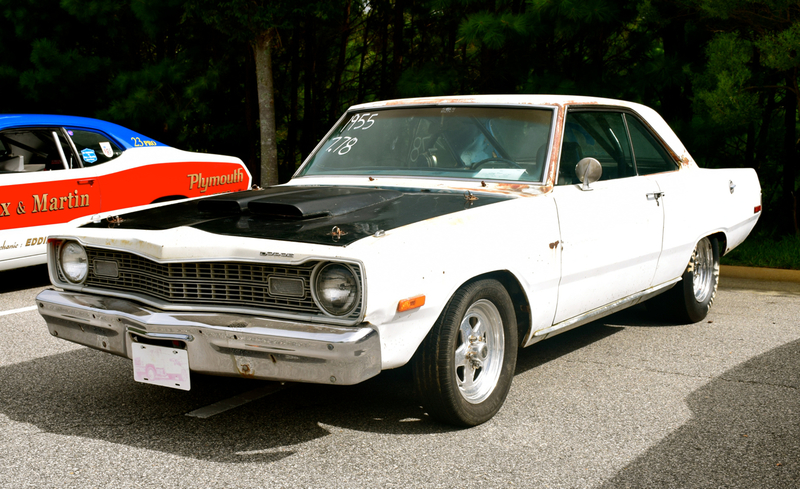 Most people are familiar with the contemporary Dodge Dart. This classic edition was in mint condition. 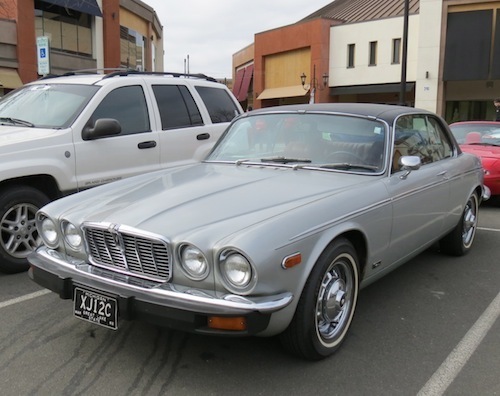 silver Jaguar XJ12C with Michigan plates. 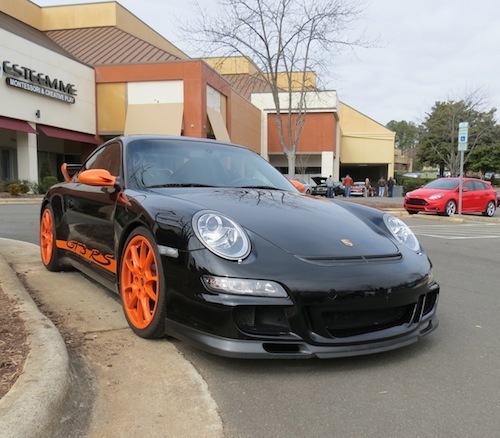 This Porsche 911 GT3 RS needs no introduction. 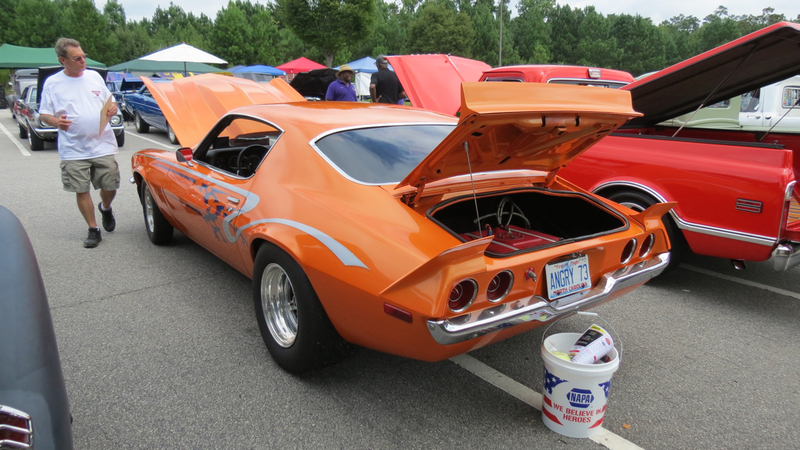 Its orange wheels, side mirror caps, and graphics offer an unusual contrast to the body. This British pair underscores the way that a hood should be lifted. One person’s Nissan Skyline is another person’s GT-R. No matter, it was one of the fastest cars to make an appearance this month. 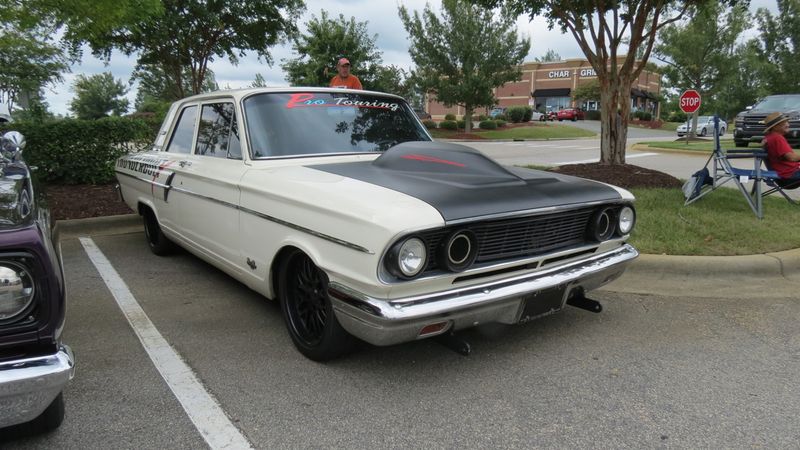 The owner of this 1966 Ford Mustang Fastback has had it for 14 years. 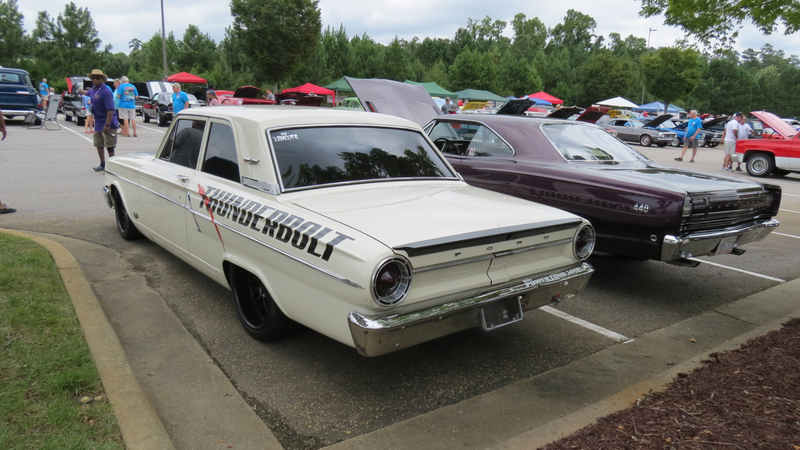 Prior to its restoration it was his sons driver while attending the United States Air Force Academy. 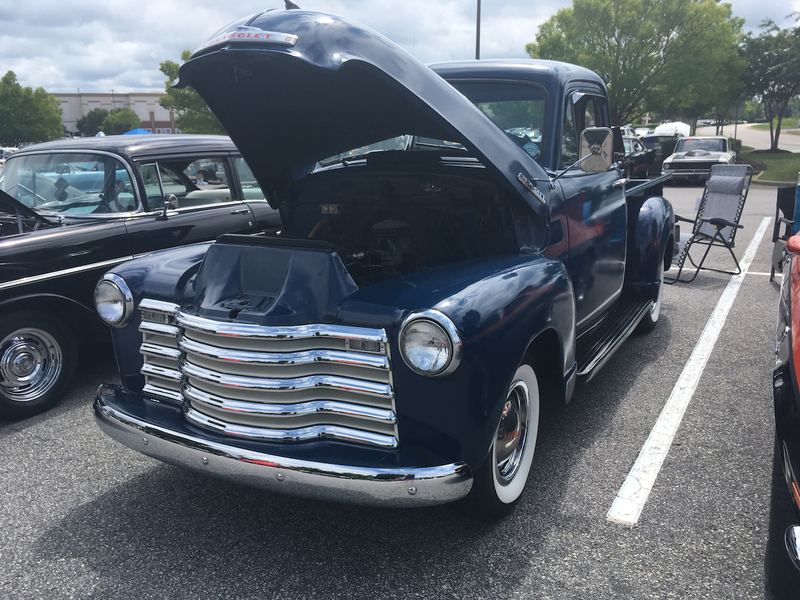 a mint condition model that represented 1950s Chevrolet design quite well. 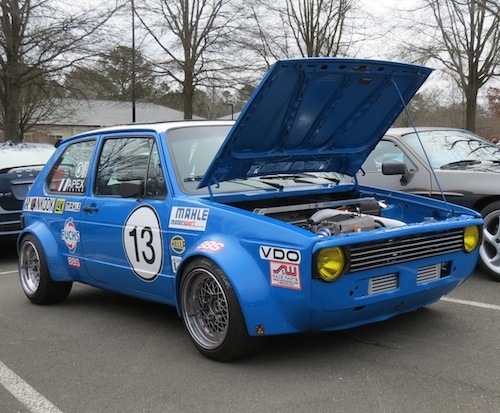 This Volkswagen Golf rally car seems anxious. Give it a track or a back road and it will strut its stuff. the same fevered condition as does March Madness. 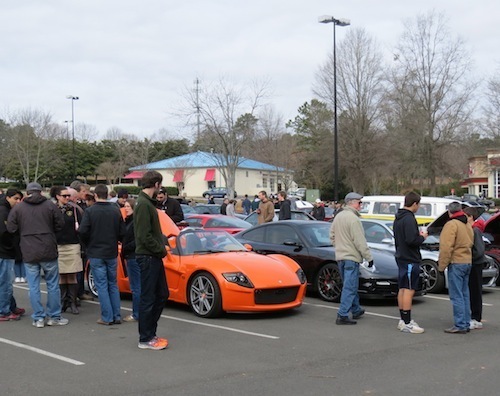 The Cary, NC gathering regularly fills the allotted parking lots, demonstrating strong local interest in automotive meetup events. 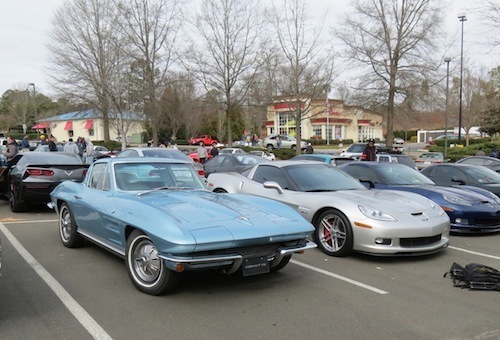 That has led to the formation of Cars and Coffee at the Raleigh Grande, a monthly gathering that will supplement, but not replace Cars and Coffee Cary. 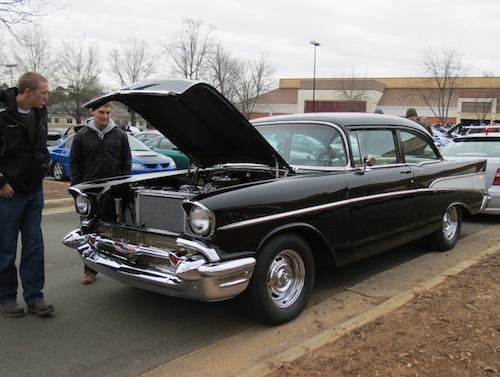 Beginning on Sat., March 15, 2014, at 4840 Grove Barton Road in northwest Raleigh, display and spectator parking will be available for this monthly show. 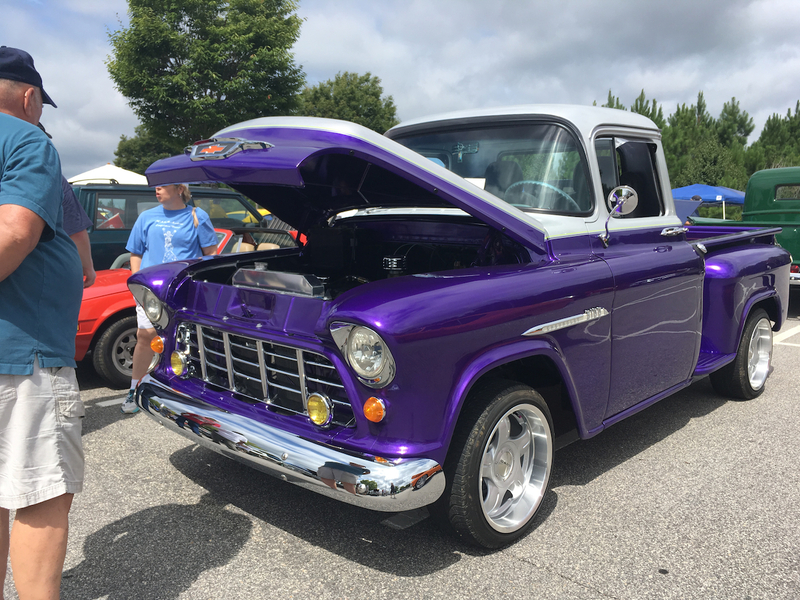 Auto Trends talked with Dave Marsic, one of the new events organizers, learning that more than 500 display and parking spaces will be available. The concession stand at the Raleigh Grande will be open during the show with attendees invited to take in a movie afterward. You can learn more about the Raleigh event by clicking here. 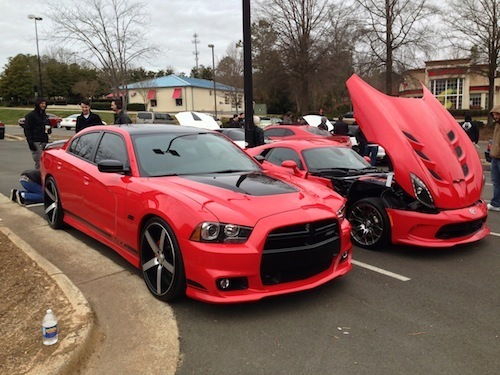 Cars and Coffee Greensboro (NC) will also resume on March 15 after a four-month break. 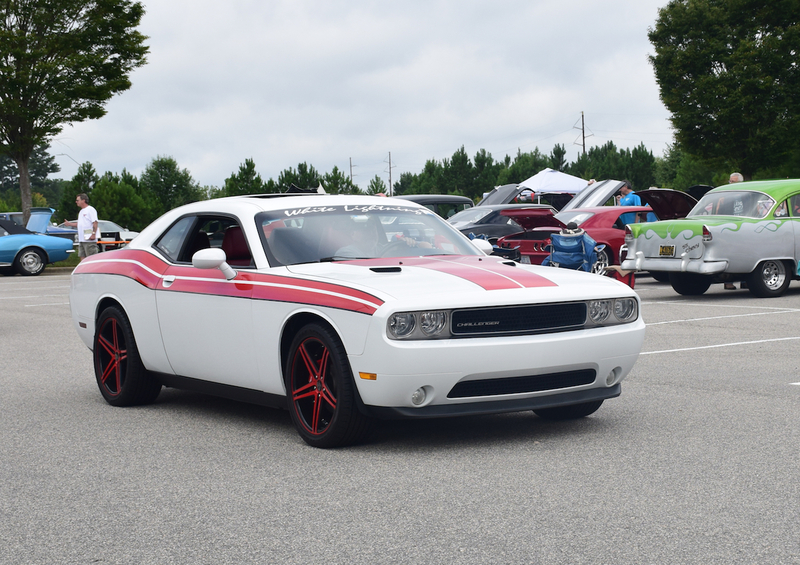 And Cars and Coffee Charlotte is also back (now meeting on the second Saturday of each month) despite having been canceled following the stupid antics of a few drivers that wrecked it (literally). Visit the Facebook pages of (Greensboro) and (Charlotte) to learn more. 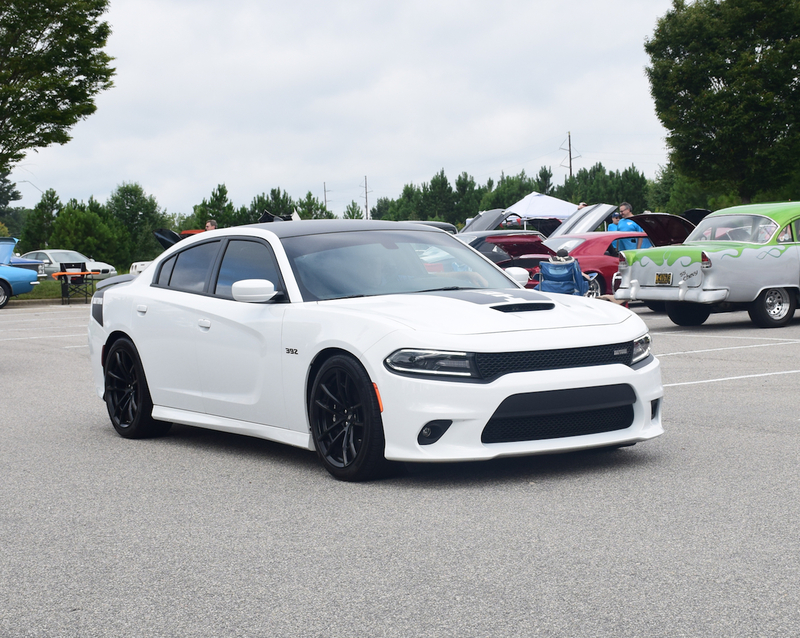 Filed Under: Auto Shows Tagged With: AMC GREMLIN, CARS AND COFFEE, CHEVROLET CORVETTE STINGRAY, CHEVROLET EL CAMINO, Dodge Charger, DODGE DART, FORD MUSTANG, JAGUAR XJ12C, MOPAR, NISSAN GT-R, PACKARD ONE-TWENTY, PORSCHE GT3 RS, SRT VIPER, VOLKSWAGEN GOLF, YES!